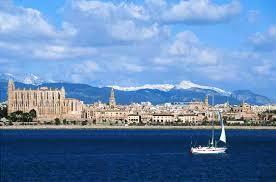 The city of Palma, capital of the Balearic Islands, is located in the island of Mallorca in the western Mediterranean. It is a dynamic, lively and cosmopolitan city with a privileged climate where the average annual temperature is 18 ° C making it an attractive tourist destination 365 days a year. City Council works hard to encourage active and healthy ageing promoting population respect and participation in political and community decision making through different programs and initiatives. In this context, the City Council approved unanimously to apply to join the WHO Global Network of Age-friendly Cities and Communities and was admitted to the Network in December 2014. Throughout 2014, the Elderly Department has been working in the first phase of the project following the methodological recommendations of the Vancouver Protocol in order to assess the friendliness-age of our city. The aim is to describe the needs of elderly people, taking into account the eight domains proposed by WHO, and to identify the strengths and weaknesses of the city to promote future actions to increase the age-friendliness of our City. For the qualitative assessment, organizations and services that work with this target population have collaborated in the sample configuration. It was a collaborative diagnosis where opinion and suggestions for improvement are collected through focus groups with representatives of older people, caregivers, professionals and service providers of this group. Once the report ended, most municipal departments got involved in the project to prioritize and perform the necessary actions in order to enhance the quality of life as people age: Environment and Infrastructure, Planning and Housing, Culture and Sports, Mobility, Work and Citizen Participation, Health and Consumer Affairs and Social Welfare. An Age-Friendly city must be friendly with all their citizens.